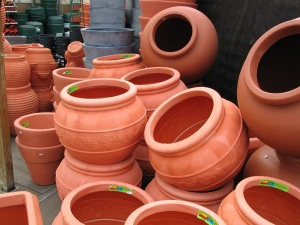 The easiest way to give your garden or patio a makeover is with our range of pots and containers. We stock a great selection of sizes and styles in colours from vibrant blue to calming neutral and natural terracotta. Pots can be used to create colourful flower displays or grow herbs and vegetables and they will add instant interest to any windowsill or garden.